Creative Contracts has over 25-years experience in the damp-proofing industry, covering Croydon,Bromley,Clapham,Forest Hill,Herne Hill,Crystal Palace,Sydenham,Anerley,Forest Hill,Dulwich,Hither green,Catford Streatham,Coulsdon, Purley, Wallington & surronding areas. The company provides businesses and clients with a professional Damp proofing and Maintenance service and have qualified and very professional operatives. Our friendly staff ensure clients can book a free survey when required and our service is intended to be cost effective every time. 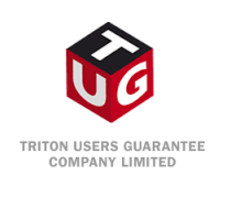 The Triton Users Guarantee Company (TUG) was set up in 1980 and is the longest established, insurance backed guarantee company in the specialist remedial industry. It was set up to enable Triton Chemical Manufacturing Company's network of approved contractors to offer an insurance backed guarantee, as a back-up to their own guarantee, following the completion of specialist remedial buildings works such as damp proofing and timber preservation. TUG back-up guarantees are issued for a maximum of 30 years from the date of completion of works. They provide peace of mind to the contractors' clients by coming into force in the event of the approved contractor ceasing to trade due to bankruptcy or compulsory winding up. If the Triton approved contractor ceases to trade during the guarantee period, TUG becomes responsible for the unexpired period. Creative Contracts has an expanding group of customers, based in and around Croydon and surrounding areas, and we are local approved contractors. We also have available a price match scheme that allows us to beat any quote by an approved contractor. If you are interested and have already had a quote through another company, then please phone and quote PRICE MATCH, and we guarantee to beat any price.